Kenmore Dehumidifiers have been recalled due to fire and burn hazards. The recall involves about 795,000 Kenmore Dehumidifiers manufactured by LG Electronics. The dehumidifiers can overheat, smoke, melt and catch on fire, posing fire and burn hazards to consumers. To date 107 incidents have been reported, with more than $7 million in property damage and three reports of smoke inhalation injuries. 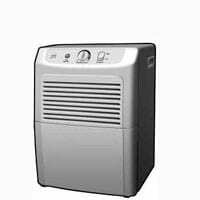 The recalled Kenmore Dehumidifiers were sold at Sears and Kmart stores nationwide and Sears.com and Kmart.com from 2003 to 2009 for between $140 and $220. Consumers should immediately turn off and unplug the dehumidifiers and contact (855) 400-4641, or visit Kenmoredehumidifierrecall.com to receive a Sears gift card for either $75, $80, $90 or $100, which may be used at any Sears or Kmart store or online.